Product description: The Verdict is written by Prannoy roy and published by Viking. 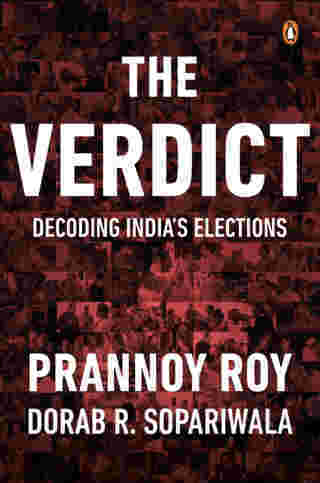 Buy The Verdict by Prannoy roy from markmybook.com. An online bokstore for all kind of fiction, non fiction books and novels of English, Hindi & other Indian Languages. who a state, or the country, is voting for. "What are the key factors that win or lose elections in India? What does, or does not, make India's democracy tick? Is this the end of anti-incumbency? Are opinion polls and exit polls reliable? How pervasive is the 'fear factor'? Does the Indian woman's vote matter? Does the selection of candidates impact results? Are elections becoming more democratic or less democratic? Can electronic voting machines (EVMs) be fiddled with? Can Indian elections be called 'a jugaad system'? Published on the eve of India's next general elections, The Verdict will use rigorous psephology, original research and as-yet undisclosed facts to talk about the entire span of India's entire electoral history-from the first elections in 1952, till today. Crucially, for 2019, it provides pointers to look out for, to see if the incumbent government will win or lose. Written by Prannoy Roy, renowned for his knack of demystifying electoral politics, and Dorab Sopariwala, this book will be compulsory reading for anyone interested in politics and elections in India."